If you only have time to go to one restaurant in Tulum, this would be it. And this was what I did, tattered printout of a Phat in Shanghai blog post in hand (big thanks Sandy !). 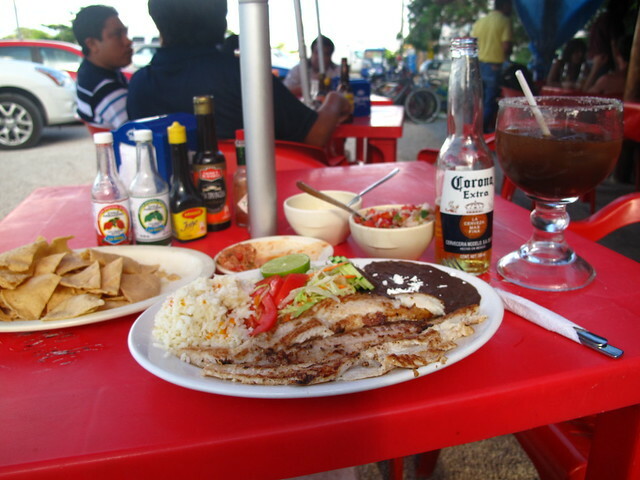 My late lunch at El Camello Jr. was hands down my best meal in Mexico coupled with the best service to boot. Well worth the risk of hitching a ride with a bunch of Mexican boys who offered to drive me to the restaurant when I asked them for directions. True to my beliefs, nothing beats local eats and atmosphere at local prices. 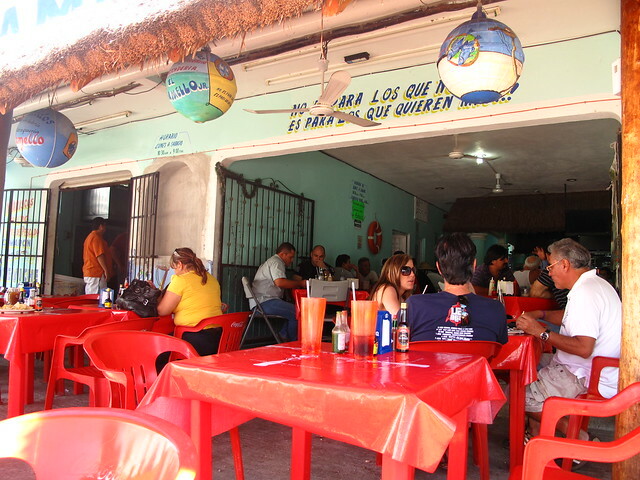 I’m still dreaming of that impossibly huge glass of michelada de camarón, amazing shredded shark dip, chips and salsas that pack such a fiery punch. If only I had some company that day to chat over drinks and share the hearty meal with. you are so welcome! i actually just went back two weeks agao – heaven!!! sandy – Omg, envious beyond words ! !